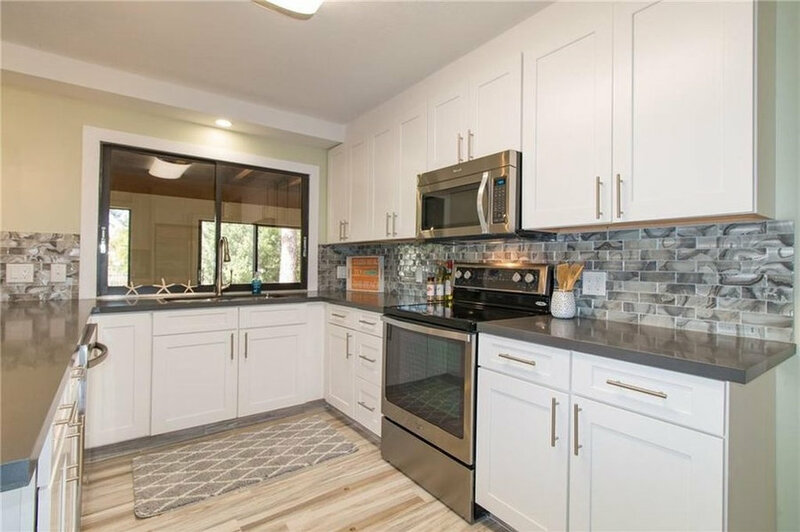 1980 home gets a total remodel. 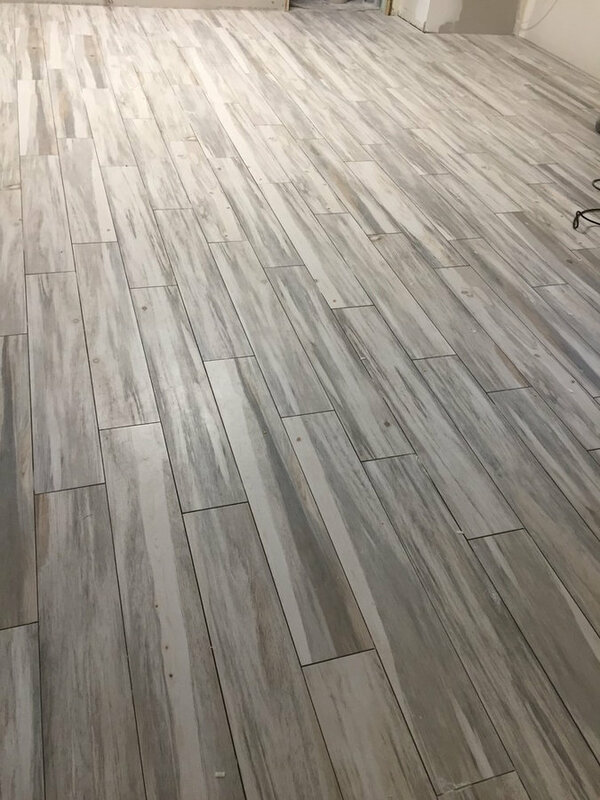 We replaced old tile floors with Happy Floor rectified porcelain plank tile called B Pine in white, grey, and tans. 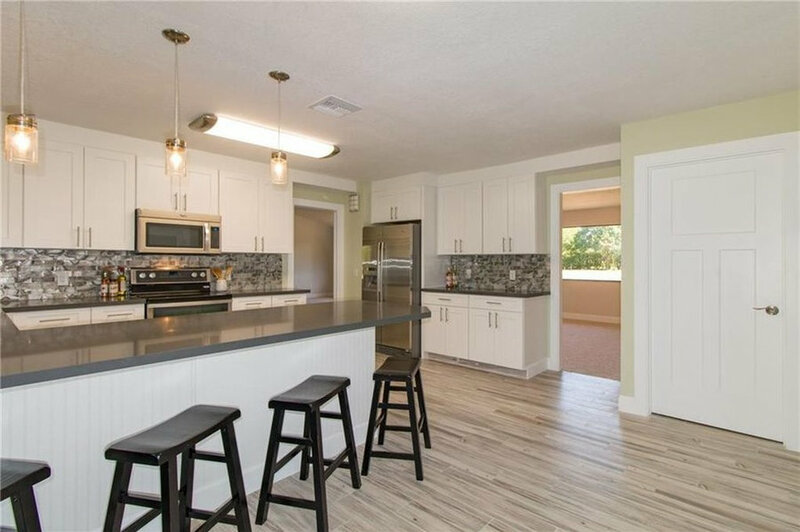 Old cabinets were torn out and white shaker "Waypoint Cabinetry" was used with dark grey quartz. 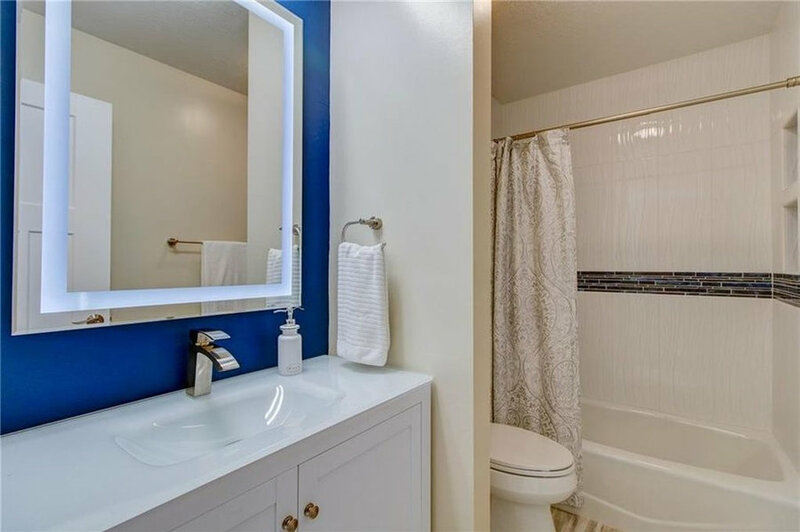 Bathrooms were gutted and redone as well. 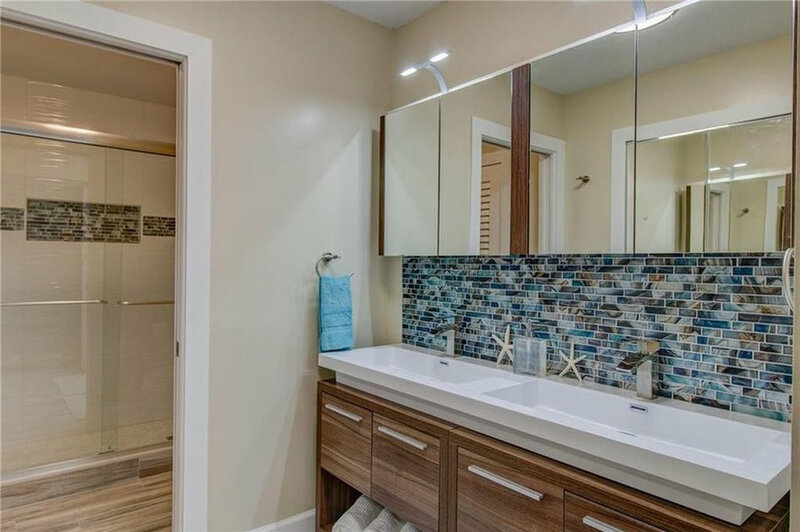 Mosaic tile in blue/grey was used in both vanity splash and shower niche and band. 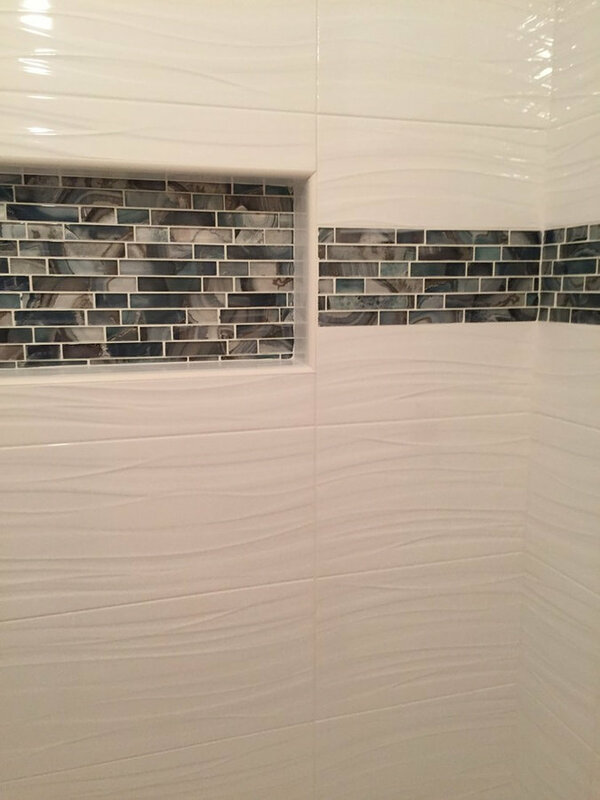 A white Daltile wave was used on the walls. 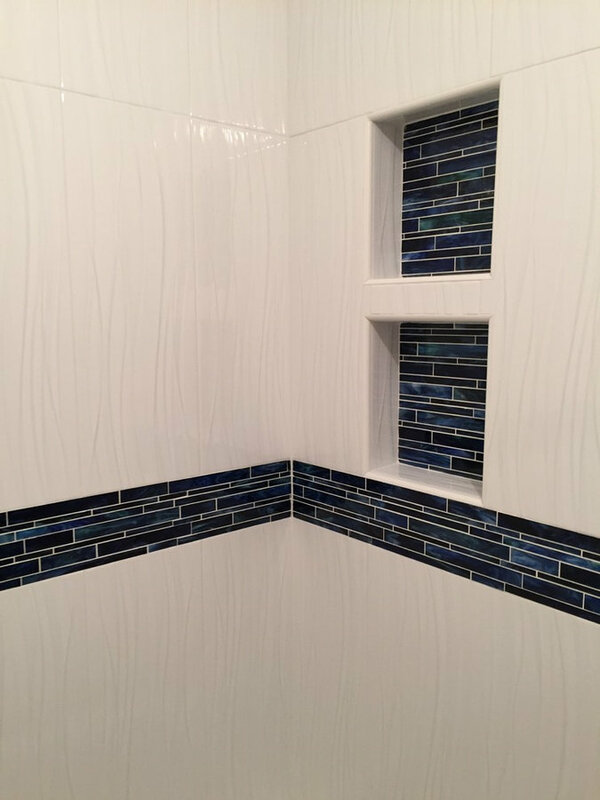 In the smaller bath we used the white wave with a navy mosiac by Mazarri called catwalk.